The records contain the orders of Krakow's councillors and jurors from the years 1585-1794. 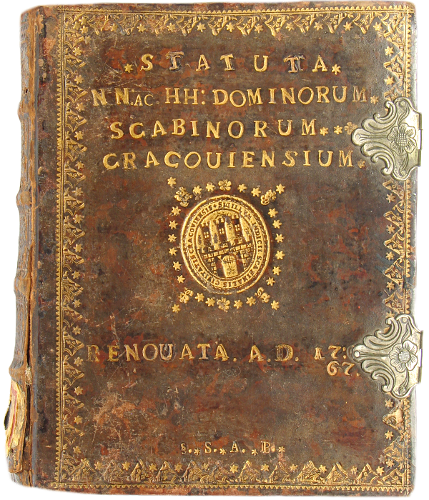 The cover – a board covered with leather. The front cover has a gilt title, the herb of Krakow and floral ornaments. Silver lines are visible (marks remaining from buckles that were once used).